Earl sputters and the Atlantic quiets down a bit | Watts Up With That? Hurricane Earl is quickly losing steam as it barrels northward and begins its recurvature in the middle latitudes. The main threat to New England will be a broad area of tropical storm force winds with gusts near hurricane force. Yet, the threat will be relatively brief as the transitioning storm moves into Canada. As an update to the 2010 Atlantic season in general, the development of four consecutive African Easterly Waves into Danielle, Earl, Fiona, and Gaston really got weather enthusiasts excited — and the public a little weary of potential US impacts. However, with Danielle and Fiona destined to be fish-storms, and Earl moving away from the US, that leaves the remnants of Gaston (now just a tropical low) as the main consideration over the next 10-days. The very reliable ECMWF forecast model does not redevelop Gaston and sends the next wave off of Africa quickly northward. So, at least through the next 10-days, unless something develops close to home, the Atlantic looks relatively quiet especially compared to the recent burst of activity. The seasonal forecasts all expected an above average year — we are at the letter G — with two big storms: Danielle and Earl, and another hurricane Alex as the main Accumulated Cyclone Energy (ACE) producers of the season. Just as a thought, the expected active 2007 season had many storms (15 – through Olga), but only two, Dean and Felix, managed to produce 3/4 of the total ACE. The other storms were relatively weak, short-lived, and not particularly memorable. I produced a plot for Roger Pielke Jr on his blog, and I have updated it through today. The current ACE is about 62 and that is about 10 days ahead of climatology in the Atlantic based upon the past records from 1950-2009. The peak of the season is September 11, so there is still half the season (at least) ahead of us. Figure: Atlantic ACE to date (little black dots) and climatology (little red dots) based upon 1950-2009 storm records. The forecast ACE for the MetOffice (UK), NOAA, and Gray and Klotzbach (CSU) are indicated on the plot. Have you noticed that the hurricanes have migrated eastwards and northwards? Not to surprised, pristine conditions for CV/ATL development, The MJO Phase Space shows a trend going back into Phases 1 and 2. The MJO graphic only has it up to Aug 31st in the near neatral bowling ball center, but the update should have it in the most favorable Phases 1 & 2 for Wave/Ts Genesis and Major Hurricane development. Well we will see, but I doubt it will be a much more active hurricane season than normal. Thanks For this post, [Dr. Maue, I presume?]. I have a couple of observations and was wondering if any of them made sense. (1) Jim Cantore remarked when he was riding out the storm on Hatteras, that how “cool” the air was, as opposed to the oppressive tropical air that is normally experienced in a strong tropical cyclone. Understood about the part that the storm was taking in very dry air, and that was helping “cool” the air mass, but for the following reason…there seems to be more than just that, at play. (2) Earl, at its height, almost had a Katrina-type look to him. I understand there was one dropsonde reading of 199 MPH. But, given the dry air intrusions and the increasing shear, despite the very deep, warm SST’s, the cyclone started to sputter. But was there something else at play…? (3) When Earl sloshed by here [Virginia Beach], the forecast temperature max busted by a full 20 degrees from earlier forecasts. They were predicting a hot downsloping dry day of 92 degrees. Last I checked it was 72 degrees with wraparound light rain bands that more resemble the day after a temperate cyclone than the day after a tropical one. If this were Winter, it would be wraparound snow flurries. Very surprising end to this storm, though, with the trough bringing in Canadian air, not unheard of I suppose. Except that cold front is not here yet. Is there something else….at play? Does a tropical storm become an extratropical storm when it moves to higher lattitudes or does it have to start off there? And where do subtropical storms fit in? What else might be at play here? What else might be keeping the ACE so low this year, and somewhat confounding the aggressive forecasts of NOAA, UKMET, and Gray/Klotzbach? Could it be the dramatic cooldown of the Atlantic’s bigger sister, the Pacific, is telegraphing the cooldown across the globe, like it always does in the atmosphere a few months later…by leaving less convective available potential energy? And just like the models missed by a long shot the amount of tropical heat was to transport north with this storm and their downslope, 92 degree day on the Virginia coast, perhaps they are missing…. …that there is less heat available in the atmosphere, period. 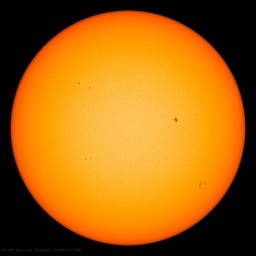 And perhaps the thing that occupies the most mass in our solar system, well….while the oceans are probably the horses which pull the chariot of climate….perhaps Mr. Sun might be the individual cracking the whip. The globe appears to be cooling….or at least “telegraphing” it is cooling…with the behavior of the tropical cyclones this year….it seems. Climatology is not weather, the average of the past is no predictor of the future. The planetary influences that drive the electromagnetic interactions that in turn, drives the production of the tropical storms, will be lacking and the winds they will be a slacking, from the 3rd or 4th of September;. Yes, tropical cyclones do typically become extratropical at higher latitudes. You’ll also hear them referred to as a cold core low. A subtropical storm is a hybrid between an extratropical and tropical (warm core) cyclone. Tropical cyclones are warm-core systems, extratropical (or temperate or mid-latitude cyclones), are “cold”-core, and subtropical ones are a hybrid of the two. I always though it ironic as to how some of the most destructive cyclones on the planet are extratropical, that they don’t get a name. [Such as the ones that wallop the Pacific coast of the USA and Europe from time to time]. Yet we will name every little tropical and subtropical blip that comes along. What will crack me up someday if NOAA really REALLY gets legalistic with us and starts issuing when we are threatened by a potent hybrid, a “subtropical storm watch” or “subtropical storm warning”…..that will be funny. As Earl winds down, A big 7.0 Earthquake hit about 30 miles Wesy Of Christchurch New Zealand. Lot sof Damage in the city; but no reports of casualties so far. That’s about the size of the 1989 Loma Prieta quake in the SF Bay Area (San Jose. the globe seems to be telegraphing “cooling” …. Don’t say it aloud! Ya know that stuff of “we know where you live”, etc. Anthony, the ECMWF is only one model. You can’t rely on one model to make a forecast. As a former metorologist, you should know. RyanMaue: True enough, but for a cursory look at what’s coming off of Africa in the 5-10 day time range, the ECMWF IFS is the best in the business, by a lot. Also, I would not call my ruminations a “forecast” but a synopsis. Enneagram, thats an interesting correlation you’ve produced. It’s a minor point, but ‘El Nino’ has only one “l” in its name. of the magnetic (Z-component) and geographic equators are found. ” Could you clarify that for the sake of us laymen? Finally, and to me most importantly, what is the source of your data? Right now, I’m more impressed with the lack of storms forming in the Caribbean and gulf. Can you refer us to any sea-level plots of temperature and humidity to support this? Can you refer us to any hurricane specialist or meteorologist who said the very dry upper and midlevel air which Earl ran into over the NW Atlantic, did not have a noticeable negative effect on the cyclone? So how long should we have to wait for another monster to get going ? Ed Rappaport, one of the directors at the National Hurricane Center, was quoted as saying that the southwesterly shear was helping force the very dry air, into the system. Look I get what you are saying about most of the “intake” is from the surface, but when they talk about “deep tropical moisture” they mean just that: in all levels of the atmosphere. And Earl headed into an area where there was no deep tropical moisture. And it eventually got the best of him. Sort of like…he was surrounded in his own bubble fortress of deep juicy tropical air that he thrived on….only to be surrounded on the perimeter, by the enemy very dry air. And as one of the other enemies, vertical shear weakened and blew the tops off his convection, this allowed the army of dry air to invade the ranks. This is purely anecdotal, but here in Ireland, we’ve had a very average summer, save for the last few days, when it’s been quite pleasant. But the heat doesn’t linger. Go into the shade or as soon as the sun sets, it gets quite cold. Weird. I’d say it’s setting things up for a cold winter. My thoughts are that all hurricanes, including the Cape Verde type, occur when a surplus of atmospheric energy exists in a given place and turbulence is instigated. They are part of Earth’s ‘thermostat system’, and produce rapid localised cooling. Hurricanes require continuous energy from the warm oceans below, along with EM charge from above, if they are to evolve and sustain themselves. We have had relatively weak solar wind for the last few days and, with coronal hole (CH420) rotating out of Earth alignment. There are no signs yet of other big Earth facing following, so as Richard Holle forecasts, major hurricanes are unlikely for the next couple of weeks. I’m 20 miles from the shore in Southern New Jersey. Ended up mowing the very dry lawn in light winds. Now I’m going to have to add water to the pool, I was hoping to get some rain, we need it. Not gonna happen. Even the weather buoys off Delaware and Long Island are only reading 25 mph winds, according to wunderground.com. At 5pm, NOAA reported 80mph winds, I’ll bet its a Tropical Storm by 7pm. Does it make sense that they report 80mph winds, but the nearby weather buoys only see 25mph at the surface? Looks like Richard Holle is the only one who has made correct predictions. And they were very specific at that. The Earth’s magnetic field has a number of components of which strongest is the vertical in the high latitudes could be 90% of total field. In the equatorial area it drops down to near or equal zero = magnetic equator. If you in the http address substitute 2005 with 1900 you will observe how magnetic equator is moving, and you can work roughly out the ‘crossing’ for any decade of the past 100 years. For more accurate calculation (as I have used) a data base is required. Such data base is available from The Institute of Geophysics at the ETH, Zurich, Switzerland (ranging from 1590-2000), it is not user friendly (requires a bit of Fortran programming for each function calculation). Paging the United Nations WMO Extreme Weather Crisis Center: time to get the propaganda mill going, issue a press release on the flooding rains and unprecedented extreme weather! We had to shut off the weather channel, the screen was totally overloaded with hurricane proof reporters and reporter-ettes. There was water, or something, coming out the set top. It was a nice day in SWFL, temperature in the low 80s, humidity 50s, felt a lot like Christmas. I’m on the New Hampshire coast, and this thing is just behaving like a Nor’easter, a weak one at that, that just formed the wrong way around, not from a western front but from the east. I hope the jet stream loses its loop and snaps back up—if this pattern stays, we are in for some 4-foot snows this fall. Chris, here is a whole case of data ammo, archive of all the recon flights info found. It must have made life on the East Coast exciting, still does for some. Why would weather records be kept, except for its variability. B. Center Fix Location: 310 miles (499 km) to the NE (34°) from Nassau, Bahamas. OK… it’s 9:30 p.m. in Southern New England and there is zip, zilch, nada evidence of a tropical storm in the area. No winds, no storm surge (believe me, it’s high tide just now and it is no higher than usual)… I appreciate being alerted to the possibility, but at noon my school canceled classes after 3… and for what? There is no “there” there. I’m not venting at you, Ryan, you give good honest forecasts, but when the Weather Channel posts about how Earl has “slammed” the Carolinas and is “Taking aim on New England”…. and then all we have is dead calm… I’d like to see a little less sensationalism and a bit more realism in the projections. Maps of Buoy locations you can access for data history…..
political doors need to be revolving. Nonsense…The National Hurricane Center forecasts have been quite accurate. It is no surprise that Earl is weakening as it gets over cooler waters and with some increasing shear. They have been forecasting that for days. And, the track forecasts have been pretty much right on the money too. And, people were rightly told to prepare for the worst because the National Hurricane Center knows there is uncertainty in track (and intensity) forecasts…and small deviations can make a huge difference, particularly in this case of a glancing blow. I think the folks at the NHC deserve quite a bit of credit (as do the models, which have handled this storm better than they have some others). The reason for naming tropical storms is that there are often multiple storms at once, whereas nor’easters and other coastal storms are shortlived enough so that there is usually just one at a time. There have been some attempts at naming extratropical storms, but the idea hasn’t taken off. It would have been difficult to talk about Hurricanes Danielle and Earl without some sort of tag. Understood. It has just gotten too legalistic though. And the cry wolf effect of the media reporting EVERY named storm as if each were a catastrophe equal with the other doesn’t help for the general populous, either. I think that only hurricanes should actually have names then. Tropical storms (and subtropical storms) should only be numbers, just like depressions are. In a related vein, there was a trend in recent decades it seems, thanks to “doppler indicated”, for the NWS to issue a computer-generated “Severe Thunderstorm Warning” every time a strong storm showed up. Every “hail core” showing up was pronounced “severe” and every doppler indicated became a “Tornado Warning”. I understand better safe than sorry….but this over-reacting in the NWS broadcasts as of late creates the cry wolf effect too. Seems to me they should scale back their warning systems across the board, so that the REAL emergencies, when they happen, will be better distinguished from the fake ones. And naming Fiona, who was a complete dud….is a perfect example. So do I think they do a wonderful job! NHC has done a good job of expanding the out look time for the models, and their accuracy for 240 hours or less is hella better than 10 years ago. For as far as the models go, before they develop out of control feed back, and go to crap @10 / 15 days. I have been working for 30 years to figure out the obvious pieces of the puzzle they left out. THE EARTH/MOON SYSTEM interactions! It is just, if they incorporated the method I use, into the models, the maximum range for forecasting general area, intensity, and timing, would be about 15 YEARS. Then use the extrapolation of the current conditions presented the same as the past patterns as a base for the bridge from long range general location and timing, into the most recent weather patterns, that are currently used for the starting conditions of the models, to compare the outputs to the past three cycles for verification as well, not just the models to themselves. What this lunar declination atmospheric tidal [LDAT] movement is, is none less than the driver of the Rossby waves, jet streams and several other periodic oscillations of the ocean basins. My FREE web site has temperature and precipitation maps generated 30+ months ago, for six years of daily forecast. It is from looking at that set of daily maps, and comparing them to the differences between the past three cycles and this one, that I developed this hurricane forecast. If you would like you could view all of the daily maps from January 2008 through now, and for the next 3 and a half years. If I had archived visual satellite video, to use as a data base (like you do) I could look back at the weather and TS tracks, knowing which real analog years to use an how many days to shift the Julian date to sync them to get tracks outlined in the process. Little colored lines all running every where, with little relative synchronization, could be brought to life, with all of their warts exposed, the patterns that repeat are modulated predictably, by the interactions of the tidal forces at work. I visit this site often but I am not seeing what forecasting skill you guys are referring to. Any neophyte weather watcher could have told you that Earl was going to weaken as it headed out of the tropics toward the New England area. What will be interesting is what happens with the remains of Gaston. Some computer models are forecasting another major hurricane in 3 days. That would contradict the statement made above. True that is a general rule, but how many of these neophytes did so, for the right dates, from the right intensity, in the right location, 2 and a half years in advance? My maps [showing the precipitation received on the right dates,] have been posted that long, how many MONTHS in advance did NHC forecast this years storms? Watching Gaston, and I am learning new things, are you? I only want to help augment the current understanding, I have no intention of fighting it, I want to help resuscitate it, not kill it! “Tom in Florida says: Looks like Richard Holle is the only one who has made correct predictions. And they were very specific at that. Holle predicted, way back in early July, that any tropical systems would not intensify to Cat 3 or 4 until after Aug 20th, then after Sep 3 they would not do so until Sep 20. So, our early storms were weak but both Danielle and Earl went to Cat 4, Fiona did not even make hurricane strength and Gaston has disappeared. Check the timing, he’s spot on as of now. And thanks again Anthony (with best wishes) and moderators. Typically, the Caribbean is a goldmine of heat content. This year as well. While there has been lots of “local” weather, what is missing is tropical waves. Usually, Caribbean activity is highest in June/July and October/November. The tropical waves that provide the impetus for hurricane formation were too far south this June/July and ran into the South American coast. The waves now are generating the typical Cape Verde type storms. Waves to come in the fall remain to be seen. The biggest problem is drawing conclusions from “limited” data. 50 years is the blink of an eye in climatic terms. We should not be surprised by our own ignorance. You may find the “Cyclone phase evolution: Analyses & Forecasts” site to be informative. There you can find various plots that track the lifecycle of cyclonic systems (both cold core and warm core and in between) as they move from one set of characteristics to the to the other. The projected data sets are based off of the various model outputs, and the more notable storms have their actual data archived. For example, here is Earl’s life cycle as it formed, got big, then floundered along the coast. As you can see in this image (it’s out of that last link above), Earl’s drop in strength coincided with a large part of it’s feed system moving north of the Gulf Stream and hitting cooler water. The warmist crowd must be depressed that Earl didn’t deliver massive carnage that they could gloat about. My friends in Hatteras tell me the storm was about the strength of a typical nor’easter. So much for AGW causing more and more dangerous hurricanes. How is 2010 developing from a ‘climate’ perspective? Any trend indicators as yet? Do you expect the second half to be much more active? These African Waves have been coming rather rapidly of late, or so it seems; perhaps I was just lulled into this frame of mind by the fairly inactive first half. Do you see anything yet that suggests continuing decline for your famous graph and (perhaps) a colder and more active (stormy) winter in the Northern Hemisphere? Thanks in advance! PS: When do you expect your new website to open? Some may sue NOAA for making them losing money….no kidding. Here we have a proof that correct forecastings were possible ….. Counter forecasting is easier: Just forecast the contrary than NOAA and you´ll get it! Fact is that there still survives prejudice about the sole mention of interaction between the gravity+EM fields of Sun, moon, planets and the earth. Such a prejudice is nothing else but silly. That prejudice can not even be mentioned without being anatemized and censored. It is prejudice against astrology. One cannot have prejudices about anything because that is simply not POSITIVE SCIENCE, but post-normal and agnostic (opposed to knowledge) science. The tale of a dead “pebbles universe”, really a “Flintstones Universe”, it is obsolete, it is time to leave it for good, and don´t be ashamed of doing it. When kids, teachers taught us that planets were round stones, deprived from any activity except for a minuscule gravity force which could not change anything at such distances. In an era of electronics and of “technology”, the only items off the web seem to be the sun and planets. Don´t you see it utterly silly?, or is it that some obscure conspiracy forbid us knowing the truth?, of course it is not, though history tells us that the “illustration” made all it could to deprive the cosmos of any connections whatsoever so as to get their goal of secularized societies, effort that persists in the present, echoed everywhere by childish “initiates” and politicians. Let us give just and example: Do anyone of us remember the discoveries made by Linus Pauling, working with water extracted from the human plasma? ; do we remember the works of Giorgio Piccardi?….Last but not least: Have we forgotten that the books of Velikovsky were forbidden as in the dark ages?, etc.etc. A failed official science forecast of a common weather event as this hurricane can make us awake and don´t fear anymore “what the others may say about us”. Enneagram: Some posts are just too bizarre to respond to. Your 3 fall into that category. Don’t fret none, soon my great great grand mother will be shaking out her feather blanket at Europe. With time the great mountain wears down into a plain, looking back at the effects of the slow progress seems obvious once the work is done. Australian news is reporting a death in Canada “as Tropical Storm Earl moved from the American eastern seaboard”. The problem with crying wolf is that eventually the wolf comes, and people aren’t prepared. If you look at the maps from 1938 and 1954 (Connie) you see both hurricanes were forecast to fade out to sea, but both hooked back northwest. Rather riding around the edge of the high to the east, they “phased” with approaching low pressure to the west. Then you suddenly had a totally different kettle of fish. Even a weakening storm is completely different, when the eye passes just to your west.